This post is the third part of Katello series. In the previous article, we discussed the installation of Katello Server and Configuring Katello for Linux patching. 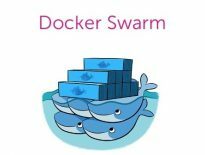 If you have read articles mentioned above, you should probably now have a working Katello server setup and an activation key for host registration. Log in into the Linux client-server and install subscription-manager package. Download and install ca-consumer package to get a copy of the CA certificate for Katello Server. Register the client with Katello Server with the following command. Organization and Activation Keys are case sensitive. [root@client ~]# subscription-manager register --org="ITzGeek" --activationkey="CentOS_7_Non_Prod_Key"
List out the available subscription using the following command. Now, you can find the client-server under Hosts –> Content Hosts. As you can see, client server has been registered atomically under “Non Production” environment because we used the activation key of Non Production. Katello agent is a client package, installed on all client machines that are connected to Katello Server. Katello Agent must be enabled on client servers to push the updates from the Katello Dashboard. Also, It provides information about errata that are applicable to the system to the Katello Dashboard from there you can get to know all the details of what is required to keep the client-server up-to-date. Install Katello client release packages. Install Katello-Agent using following command. Start the Katello agent service and enable it to start at the system boot. Remove or move all of your repositories except redhat.repo present inside the /etc/yum.repos.d/. 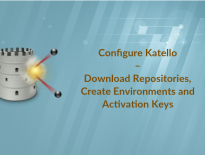 Verify whether the Katello-agent is installed on the host using the Katello Dashboard. Hosts –> Content Hosts –> Select Host (client.c.formal-atrium-160103.internal) –> Details. To install a package, go to Hosts –> Content Hosts –> Select Host (client.c.formal-atrium-160103.internal) –> Packages. Chose Package Action as “Package Install” and then type the name of a package; then click on perform. Package installation is in progress. Below screen shot shows the package installation has been successfully completed. Chose Package Action as “Package Remove” and then type the name of a package; then click on perform. Similar way, you can carry out the tasks such as Package update, Install or Remove package group.